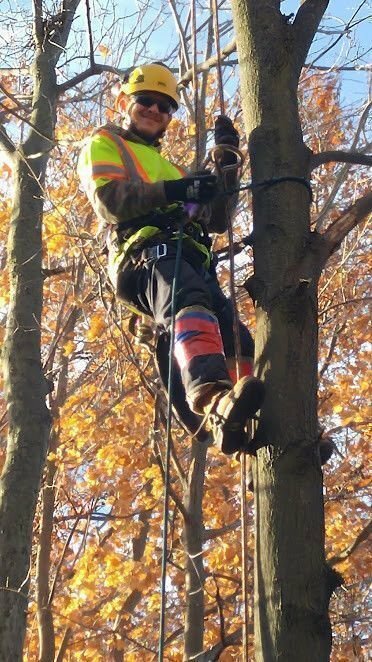 I have opened Wright's Tree Care to give London, Ontario and Surrounding Areas the opportunity for a more personalized Tree Care option. I offer FREE, non-binding consultations and multiple options about all your Tree related concerns! I will ensure job accuracy and that nothing gets missed. With the help of my team I ensure the highest quality cuts, a safe and professional work environment, a excellent clean up after and that you know you made the Wright's Choice. 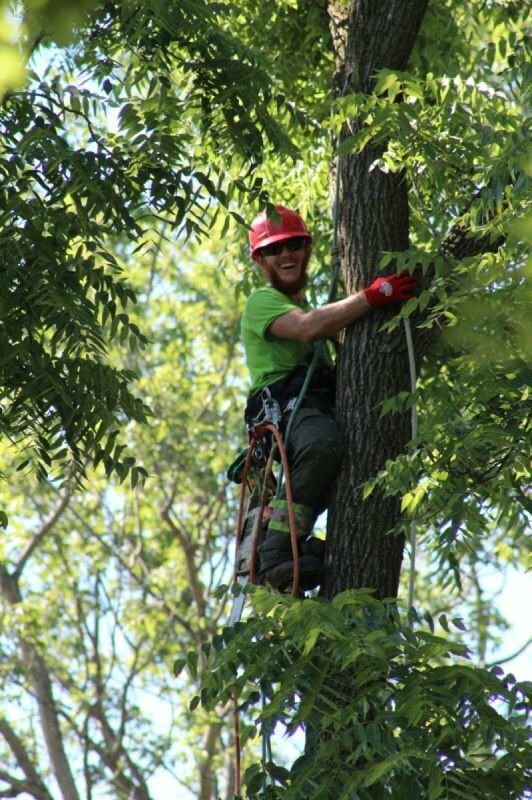 With seven years spent with London's Best Tree Service combined with two years at Sir Sanford Fleming College for Arboiculture and Urban Forestry. I have dedicated myself to continuously expand my knowledge within the industry and further my career as an Arborist. Now I would love to offer my skill and knowledge of Trees back to the community of London, Ontario the Forest City! Trees are very happy when the wind can pass through their canopy! With even a slight thinning, you can reduce the pressure of harsh storms. With no deadwood left in your Tree, you won't need to fix the lawn mower blades after they chip the branches! More sunlight you say? Removals are not the only option! There are many was to save your Tree including cable and bracing, thinning for airflow and more! But, when it has to go, its got to go! Big or small, I am always ready for a climb! With my rigging experience and top-notch equipment, I can lower limbs down with such grace that I could land it on a glass table! Of course, that would not be the Wright choice! Cat rescue can be dangerous, especially for the kitty. It is ALWAYS best to try coaxing the cat with treats and toys rather than climb up after them. There is always a chance that they climb farther up or get scared and jump before I can secure them in a safe, enclosed rescue bag. When calling in for a cat rescue, always have a LARGE sheet, tarp or blanket and willing volunteers on hand if the cat jumps. When your beloved Tree is splitting apart and is in striking range of your house, removal is NOT the only option. 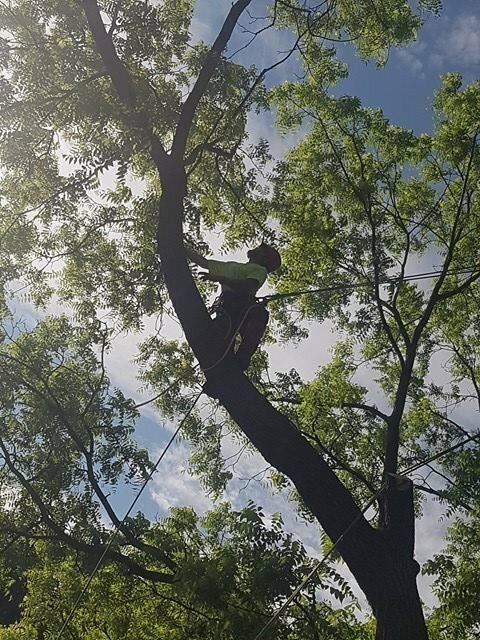 Installing steel aircraft cable, and/or a rod, can provide you enough support to save your Tree while giving you the peace of mind that in the event it were to fail, it won't destroy your property. The weather is beautiful and your yard is, well, being taken over by your neighbours Trees. Although we have to keep the health of the tree in mind, you do have the right to enjoy your yard. I can help you by trimming on your side while still maintaining the natural look of the Tree. Waking up to branches smacking and overhanging on your roof? This is a great way to grow moss and fungi up there and seriously shorten the longevity of your shingles. I'd love to help! Just need a quick clean of the gutters? While gutters are not my specialty, I do have a leaf blower, ladder and a liking for heights, so long as the roof pitch is safe! Call now to book.